Omar is a nine-year-old Syrian refugee boy who suffers a debilitating hormone deficiency. Untreated for the three years that he lived as a refugee in Lebanon, Omar was resettled last year to Finland. 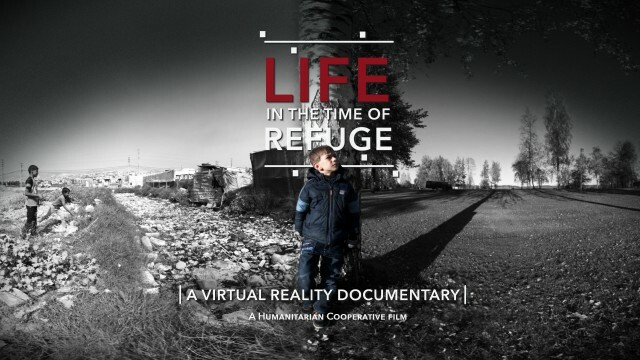 Join his friend Warda Al-Jawahiry, herself a former refugee, on a unique Virtual Reality journey to Finland to see how he is faring in his new home. Life in the Time of Refuge was made in partnership with The Humanitarian Cooperative and support from Nokia and The UN Refugee agency (UNHCR). 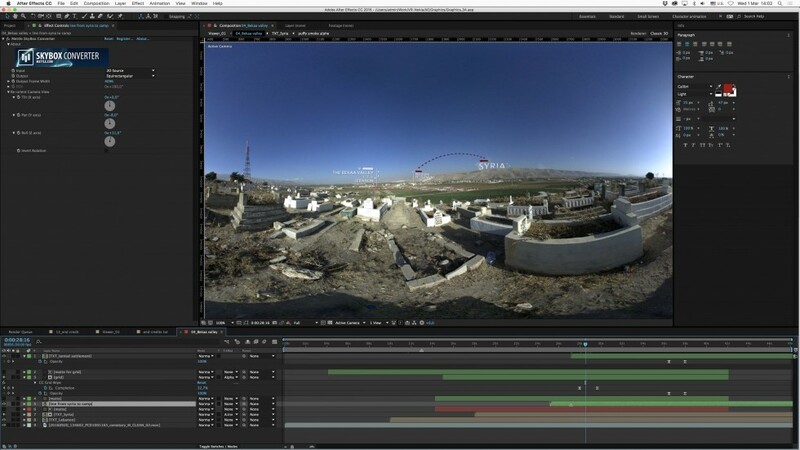 Mettle 360/VR plugins were used for post-production, with Adobe software. 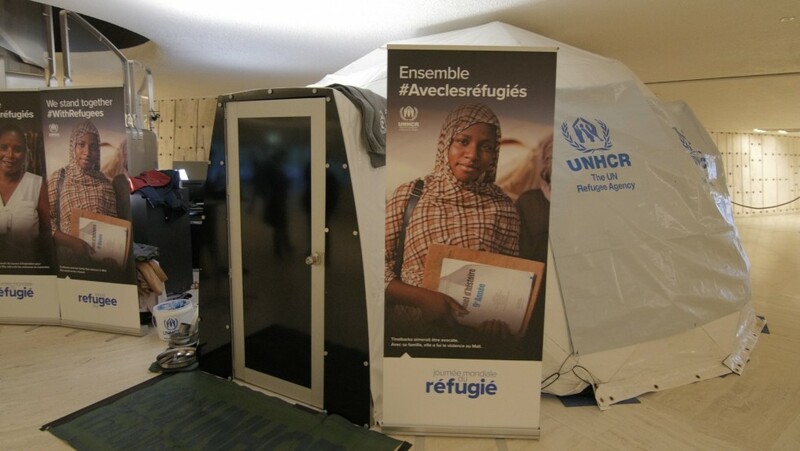 “Life in the Time of Refuge” is shown at the UNHCR in Geneva. The “Igloo” is a fully immersive 360 projection dome. Filippo Grandi (High Commissioner for refugees) watches the film at the Geneva screening. From left: Kelly T. Clements (Deputy High Commissioner at UNHCR), David Gough, Minna Aila (VP Corporate Affairs at Nokia), Omar. Behind The Scenes of “Life in the Time of Refuge”. Q&A with Ellen Andries, Creative Director, “A Mad Production”. This is a great documentary. Where have you shown it so far? 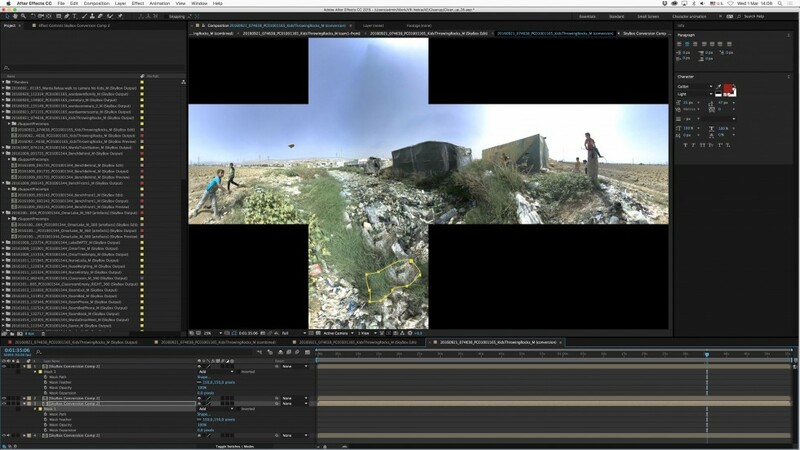 The film was shown at the VR Bar at the Sundance film festival, where viewers were able to experience the near-perfect stitching and spatial (head-tracked) audio. 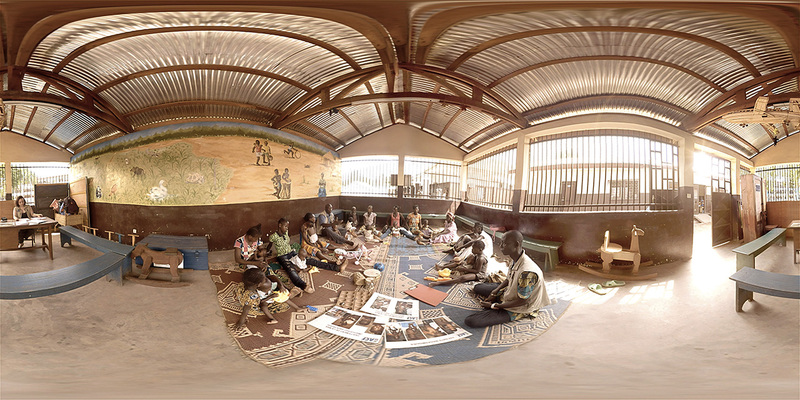 Viewers were moved by Omar’s story and showed appreciation for humanitarian storytelling in VR. The film was also shown at NAB Shanghai and the Helsinki Conference on Supporting Syrians and the Region. 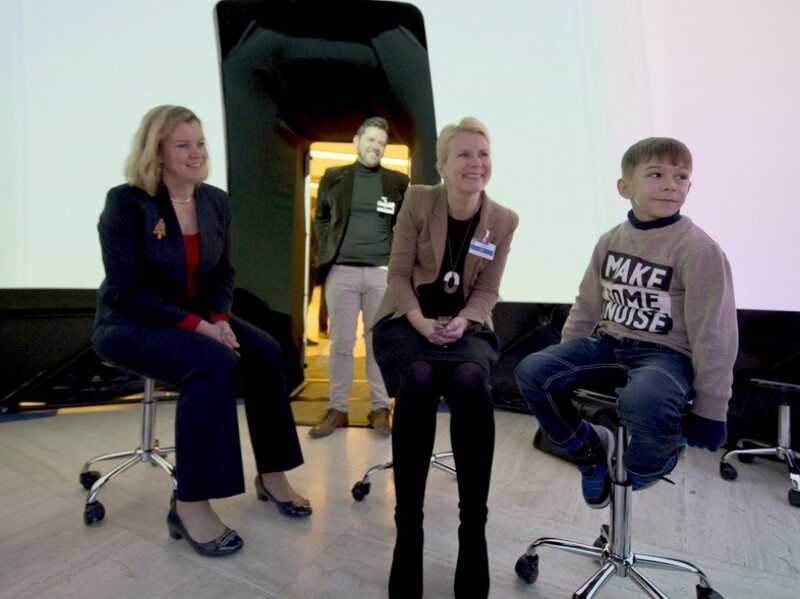 Our favourite event so far was a 360 projection at UNHCR in Geneva, in December. The “Igloo” is a fully immersive 360 projection dome which we covered up with a UNHCR tarp to make it look like a refugee tent – allowing people to, quite literally, step into another world. Even the High Commissioner himself enjoyed a screening. We realised that a shared VR experience (in relatively small groups, 10-12 people per group) is far more powerful than wearing a headset. What was your workflow, from shooting through post-production? Our production ran from September to December 2016. 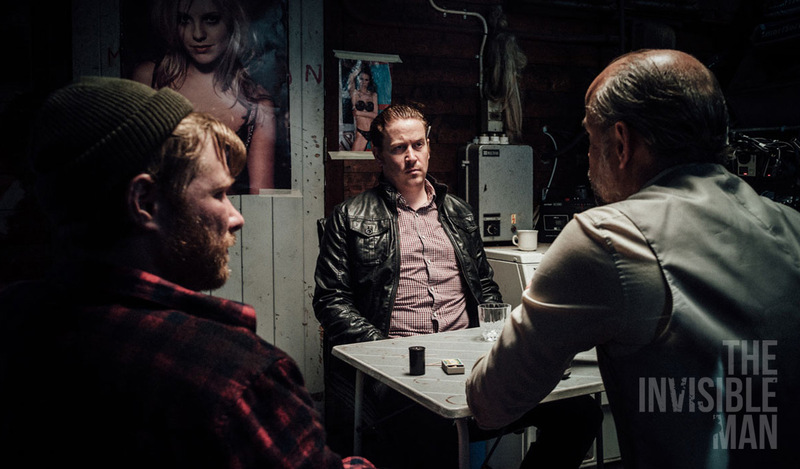 We filmed in Lebanon and Finland and the post production was completed at A Mad Production in Ghent, Belgium. 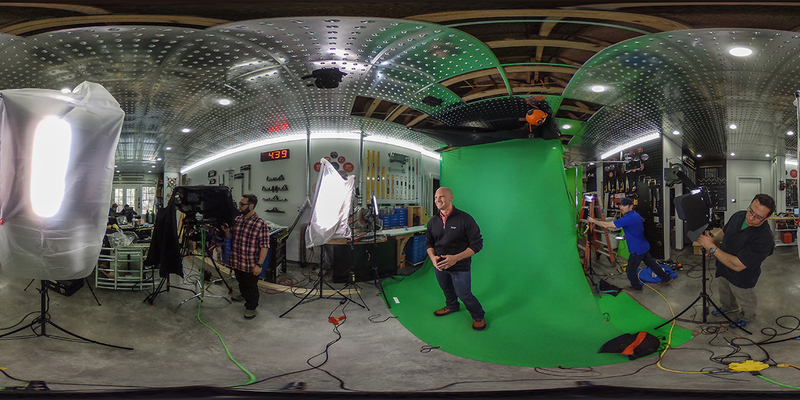 Shooting on the OZO was great (compared to other VR setups at the time), even though we had no way of watching dailies because even the most powerful MacBook pro couldn’t playback the files (and taking a mac pro was not feasible.) 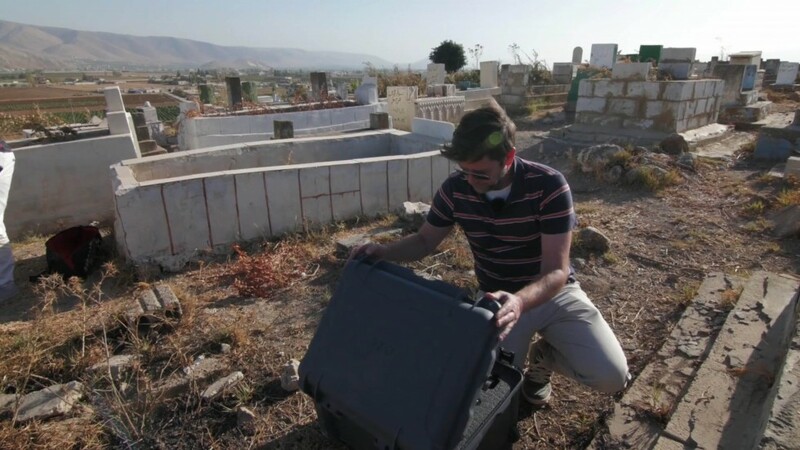 The camera’s audio stopped working about halfway through the Lebanon trip – it’s still a mystery why that happened, but I strongly suspect dust and heat were a factor. For post-production we would pull the images into our fully loaded Mac-Pro, working on SSDs because VR requires the speed. 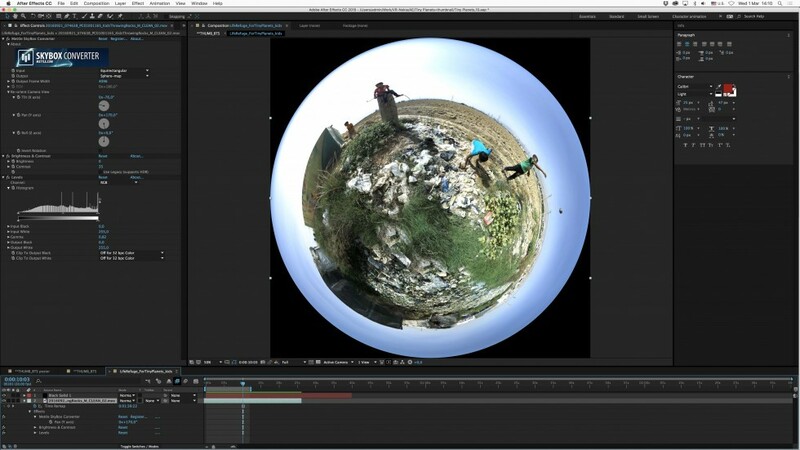 OZO creator renders a very high quality stitched image. But as everyone reading this knows, every VR image needs clean-up. That’s where we used our trusty After FX with the Mettle Plugin. Mettle allowed us to easily remove tripods, stitching artefacts and add graphics. 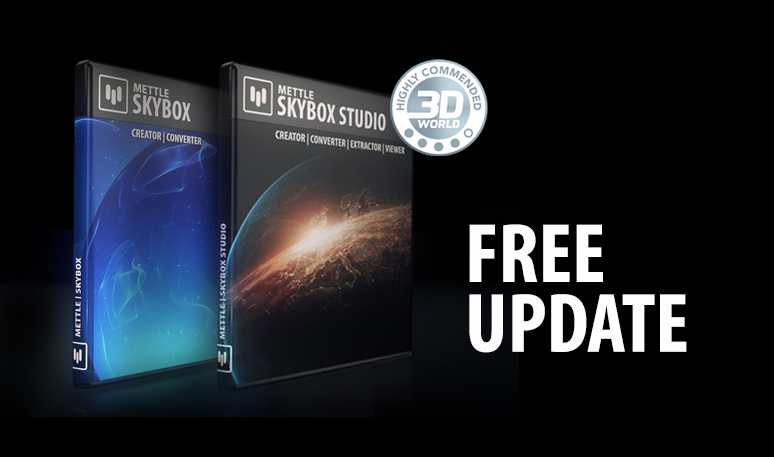 It was very straight forward to use and well integrated in software we are familiar with – which is rare in the VR world, where very little of the workflow is streamlined at the moment. The film was edited in Final Cut Pro X. 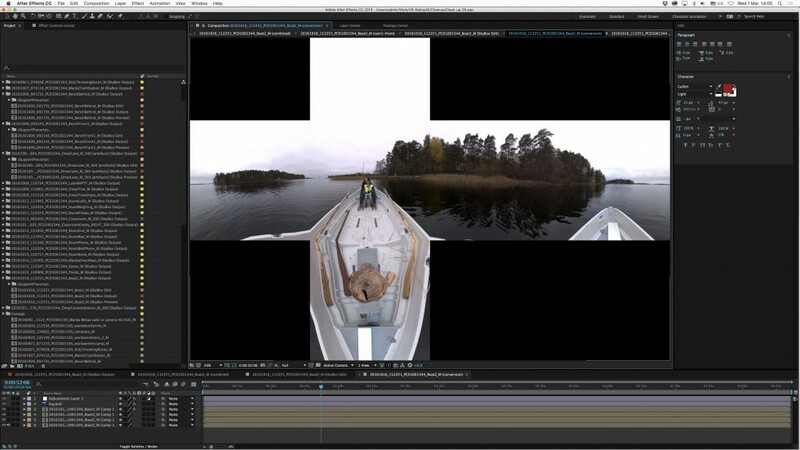 Just to illustrate how fast things are moving in the VR world- When we started production, the average render time for a 2 minute shot was about 8 hours. By the time we wrapped production (same hardware, but a few firmware and software updates later) that time had dropped to 3-4 hours. Ellen Andries and Thomas Maddens. Ellen Andries has worked for the last 8 years as a GFX artist for major media companies and production houses in Europe. She is currently Creative Director of A Mad Production taking the lead on motion graphics and animation. She is determined to do something new & different every time. 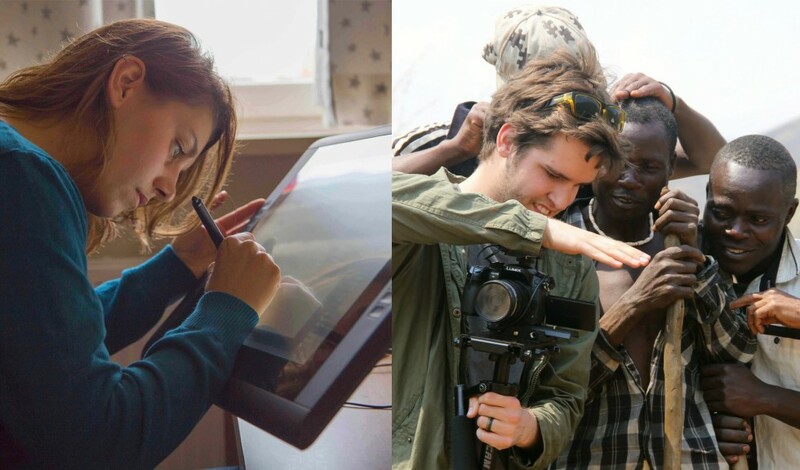 Thomas Maddens has a film school degree from Narafi film school in Brussels and several years experience working as DOP and editor for humanitarian organisations in headquarters and field posts. As his body of work testifies, Thomas is a visual visionary always in search of new ways to get eye’s on the story. In 2012 he co-founded A Mad Production, and is currently based in Ghent, Belgium. 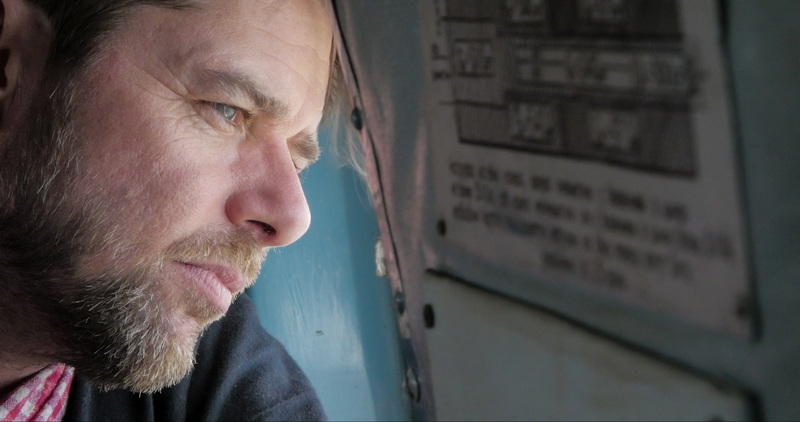 David Gough is a filmmaker and journalist with a special expertise in humanitarian issues. Formerly East Africa Correspondent for The Guardian Newspaper, he established and ran an award-winning UN Film Unit in Africa before taking over the UN Film and Special Projects Unit in New York.